AZ India would like to thank the Telugu audience for making Venkatadri Express a super success over the Thanksgiving weekend. The movie started with a hit talk and reached the superdecent hit status in just one weekend. 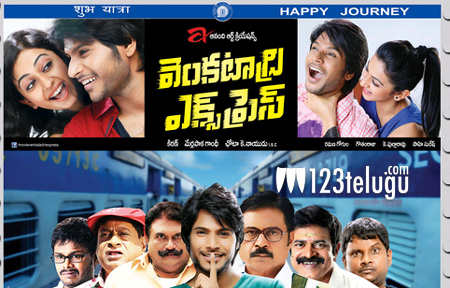 This is SundeepKishan’s first solo bumper hit. RakulPreet is beautiful and director Merlapaka Gandhi’s direction is laudable. Overall the movie is a non-stop comedy express. All the movie websites rated this movie with 3+ stars. We are receiving calls from multiple cities for movie schedules and screening. As a result, we are extending the shows for next week and also adding new screens at various locations. Thank you again for watching movies at the theater and as said the drive to theaters is worth.